The Torrey Schoolhouse B&B Inn provides lodging in a historic pioneer setting. 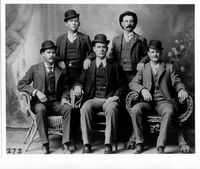 The Inn was once the lifeblood of the whole county, including weekend dances, country bands, boxing matches, sometimes attended by local outlaws including Butch Cassidy. The Inn is close to hiking, biking, scenic trails, horseback riding, tours, and is the perfect base for your next National Park adventure! If you are planning a tour of Bryce Canyon, Canyonlands, or Lake Powell, don't forget to include the diverse and spectacular Capitol Reef National Park on your route! A stay inTorrey to enjoy great food at award-winning restaurants, and to revive yourself with our Sharper Image rolling-action massage-recliners is a special treat. Come and relax and enjoy the historic elegance that awaits you at the Schoolhouse Bed and Breakfast Inn! 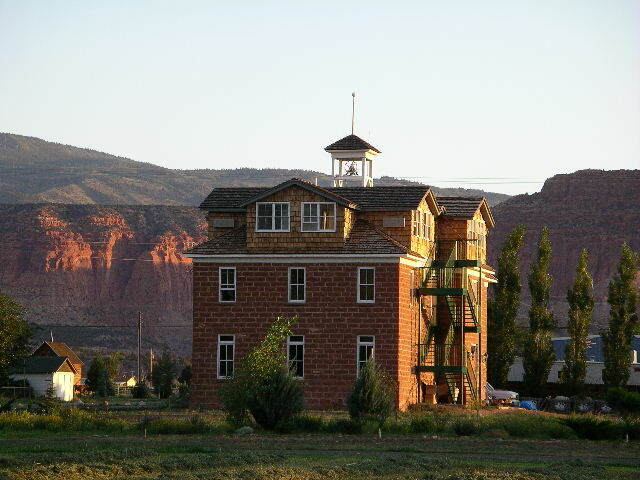 Located in the heart of Torrey, Utah, the schoolhouse is only 5 miles from the entrance to Capitol Reef National Park. Dixie National Forest and Escalante Grand Staircase National Monument are less than an hour away. The historic Torrey Schoolhouse B&B is charming, comfortable and convenient to both Capitol Reef and in-town amenities. Providing delicious ORGANIC full hot breakfasts, the Schoolhouse Bed & Breakfast Inn is also the site of a wellness retreat for groups who book the entire place. It is truly where "Capitol Reef meets comfort!"